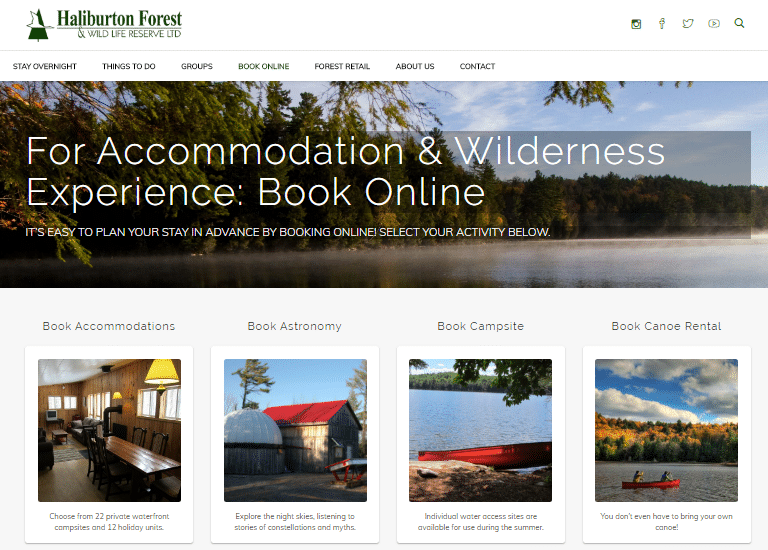 When Haliburton Forest’s new ecommerce and online reservation tourism website went live in December 2017, online bookings increased dramatically, saving Haliburton Forest staff one hour per booking. That is hundreds of hours per week that staff can now focus on following up with interested prospects, ultimately increasing their revenue. This is just one of the many advantages the company enjoyed when they employed Growth-Driven Designer, HubSpot Certified Partner and inbound marketing specialist Tangible Words. On this project, Tangible Words focused on growth-driven design at an affordable price, in two stages. Affordability is key in tourism because even in a four-season facility like Haliburton Forest, weather is a massive factor in revenue generation. Committing to a large project without seeing intermediate results would not have been fiscally responsible. Tangible Words made use of HubSpot’s growth stack, starting with the Free CRM and Marketing Free software, and HubSpot’s Integration Tools, Zapier and WordPress, to create an effective, robust, online selling tool for Haliburton Forest. The first half of the project provided Haliburton Forest with not just a comprehensive new website, but also the foundation for the second stage: an extensive marketing system that gives them the customer and sales infrastructure they never had before. While most websites increase in traffic in the first 90 days after a new website launch and then drop-off, Haliburton Forest’s new site had the option of being in a nice athletic position to stay robust, and drive sales ongoing. One of HubSpot’s features is its ability to integrate well with so many other competitive online tools. HubSpot integrates with both Zapier and WordPress, allowing Checkfront, the tourism industry’s best ecommerce booking & online reservation system, to communicate customer information, including bookings, to the HubSpot CRM. Tangible Words, with support from the HubSpot team, set up the integrations on the WordPress website. This allowed the Tangible Words team to confidently and affordably build the Haliburton Forest website on WordPress, with a very competitive ecommerce tourism tool, and to integrate HubSpot’s free CRM for the customer, offering the whole website project at an affordable price point - while still achieving a growth-driven design. Upon new website launch, Haliburton Forest was able to confidently and seamlessly add a second scope of work: the addition of Tangible Words’ inbound marketing services and HubSpot’s Marketing Pro tool to increase leads and customers with their website. Furthermore, in compliance with CASL, Tangible Words was able to take Haliburton Forest’s existing comprehensive double opt-in list (housed on MailChimp) and migrate that list on to HubSpot for more personalized nurturing, resulting in increasing traffic and bookings on Checkfront. The integration between the tourism ecommerce and online reservation tool Checkfront (via HubSpot’s Zapier integration) and the HubSpot CRM, and the integration between WordPress and all HubSpot tools, has allowed Tangible Words and the client to better track and manage sales, laying the foundation to increase revenue from both existing and new customers. To see which customers are evangelists for the forest via the number of bookings made on Checkfront and to better nurture them based on their loyalty. To calculate customer worth, and to better understand the profile of the most profitable customer (via the total amount paid on last booking, as well as the collective amount each customer has booked over time) to better attract more of the same kind of quality customer. To quickly reference customer bookings for improved customer service in the event of booking changes, creating better overall customer experiences, and removing Haliburton Forest administrative hassles. To see the whole customer profile in one place, including which products they may be interested in also purchasing. To better keep track of customers in a salesperson-friendly software, as customer information like email, addresses and phone numbers are automatically updated. 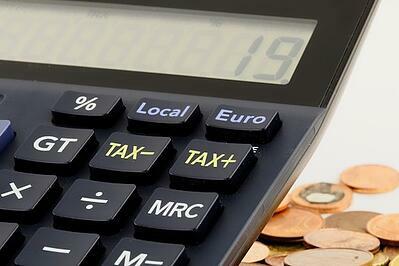 To better measure the efficacy of marketing investments. HubSpot Certified Partner Tangible Words can use HubSpot to track which Contacts originally became aware of Haliburton Forest through inbound marketing and then continued on to booking online via Checkfront. Tangible Words tracks how effective content offers, blog articles and email marketing are in enticing Contacts to take action and to progress from visitor to lead to customer. Offer new, valuable, demand-generated products to guests based on how website visitors were using the site. With these innovative tools in place, Haliburton Forest and Tangible Words can now track information previously unknown to find new opportunities to satisfy customers and increase revenue. Create alerts in the CRM so that Haliburton Forest can remarket new products to existing customers, to create greater customer lifetime worth, and to provide greater value to the customer at the right time. Haliburton Forest’s website receives a 92/100 Website Grader Score for Fast Load Speed and SEO Optimization; the site is also 2.0 WCAG Compliant. 13% of new or existing CRM Contacts have become customers through online website bookings, and all of their customer information and communication with Haliburton Forest staff can be updated from Checkfront so that it is visible in one place, on HubSpot’s CRM. 100% of new bookings are being booked through the best tourism ecommerce and reservation tool, Checkfront, without worrying about losing track of customers, leaving money on the table, updating inaccurate data, or having to work in too many places. 3.5% more new Contacts, with whom the company did not previously have a record or relationship, were created. 50% of new and old Contacts were better engaged, nurturing them further through their buyer’s journey. There was a 52% increase in website traffic that came from social media traffic, better creating awareness for Haliburton Forest’s tourism offering. Website traffic was never a problem for Haliburton Forest, but the old website had no online booking or reservation system, nor an easy way for Haliburton Forest staff to keep track of, and follow up with, clients. The written content on their old site wasn’t as sharp as was needed, and the Content Management System (CMS) was hard to edit. Communications with site visitors relied on Haliburton Forest staff being available to answer inquiries, and to manually follow up with potential customers (who often make website enquiries and then get distracted, resulting in a long weekend or good weather being missed). Haliburton Forest had to have the human resources on hand (limited to business hours) to manage every booking or cancellation, which created unnecessary workplace stress, for instance if the snow suddenly arrived or melted. Revenue was bottlenecked by not allowing customers to book outside their own work hours, and an already time-sensitive product was limited in sales by what could be achieved by staff in a day. Haliburton Forest understood what they needed in terms of a new website, but they were unaware of how a website could be set up for growth, using a growth-driven design strategy followed up by inbound marketing software and services. Tangible Words launched them in that direction using HubSpot and HubSpot’s integrations for WordPress and Zapier. Create awareness by increasing website traffic: Tangible Words uses HubSpot’s blog publishing tool to draw users in with helpful content, and HubSpot’s social media publishing tool to drive traffic back to the WordPress webpages, Checkfront booking pages, Haliburton Forest blog pages, and to user-valued content offers (hosted on HubSpot’s landing page tool). The meaningful analytics collected from each individual’s interaction with the blog and social posts are stored in the HubSpot CRM to help the sales team have more efficient and effective conversations with clients. Better understand Haliburton Forest’s Buyers: Tangible Words uses HubSpot’s Forms in order to capture data on each willing user, and to collect it in one logical place - HubSpot’s CRM - for improved customer experiences. Help customers and Haliburton Forest staff make a better connection: Tangible Words has created workflows and lead scoring email alerts through HubSpot, and provided training, to help Haliburton Forest follow up with their prospects and customers in a more personal and meaningful way. Haliburton Forest staff can now make sure visitors are getting what they need before they even arrive. The CRM, workflows and lead scoring alerts will also help the Haliburton Forest team communicate better about lead status amongst themselves and to make sure that no lead is lost in a busy office with many people answering the phones. Understand what information customers are looking for: With a tourist-specific online store set up via Checkfront, which integrates easily with the HubSpot Marketing Pro tool using the HubSpot Integration tool Zapier, Haliburton Forest Staff find out what kind of information a user might be looking for, and who has actually booked directly online already. Help customers find more of what they want at the right time: HubSpot Certified Partner Tangible Words uses personas - as well as the information collected from questions asked within HubSpot Forms, and then webhooked from Checkfront to the HubSpot integrated tool Zapier - to create effective HubSpot lists. Emails can then target each contact specifically based on their timely interests in order for them to take action and book at Haliburton Forest. This new growth-driven design WordPress website, combined with HubSpot and the HubSpot integration tool Zapier, makes it easier for customers to reserve their spots and allows staff to better bill, track and prepare for incoming guests. As a tourism anchor in Ontario, Canada, Haliburton Forest contributes to regional destination tourism marketing efforts by attending and speaking at tourism meetings and workshops. The forest’s General Manager for Tourism & Recreation is aware that the Haliburton Forest website is superior to most tourism industry websites, and she often shares her experience working with Tangible Words - and the suite of tools introduced to Haliburton Forest - to inspire and encourage other tourism product marketing efforts. Haliburton Forest is a wonderful product, and not only because of its 100,000 acres of natural forest and crystal clear lakes open for tourists: the facility tells a story of Canada’s vital logging history and is a leader in how to sustainably forest and protect Canada’s natural resources. Even better, in true Canadian style, the forest hosts a great variety of all-season activities set amidst pristine Canadian nature and wildlife. It’s tempting to use the old adage and suggest that this forest could simply “sell itself”. But there are millions of potential customers regionally and internationally who would love Haliburton Forest, but still need to find it. That’s where the ongoing inbound marketing help from Tangible Words, and the equally wonderful tools backed by HubSpot, come in. 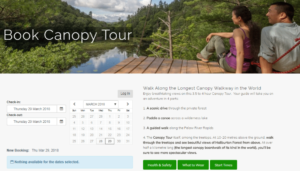 As a HubSpot Certified Partner agency, Tangible Words will work with Haliburton Forest to draw new and loyal guests back to the website for outdoor tourism experiences and the chance to really experience Canada.